One of the key milestones for the implementation of the Jubilee laptop project was the development of content to be taught to pupils in over 22,000 primary schools across Kenya. Through the Kenya Institute of Curriculum development, the government has developed digital content for standard 1-3 with conversion of the same onto a universal platform taking place in September 2015. The conversion to a universal platform allows for the content to be made available on different platforms. Initially, the content was only available on windows devices but conversion to a universal platform allowed for its porting on android devices, iOS, Amazon Kindles making access seamless. In February, the government announced that the consortia of of Moi University–JP SA Couto and Jomo Kenyatta University of Science and Technology (JKUAT)- Positivo BGH won the Kshs. 17 Billion tender to supply laptops. The consortia was then to implement a pilot stage in 150 schools with the government handing over digital content for installation to the devices. Through KICD, the government held a conference for publishers and content creators seeking to set standards for online content development. The guidelines had been developed in collaboration with Intel, Microsoft, Ministry of Education and Kenya Publishers Association. KICD announced that digital content covering all subjects in class one and two was available for free access on KICD interactive. In the last few months since the content went online, the portal has received over 700,000 hits from more than 25 countries with the number set to go higher. KICD is also set to receive submissions for content in the next 10 days from different content publishers. 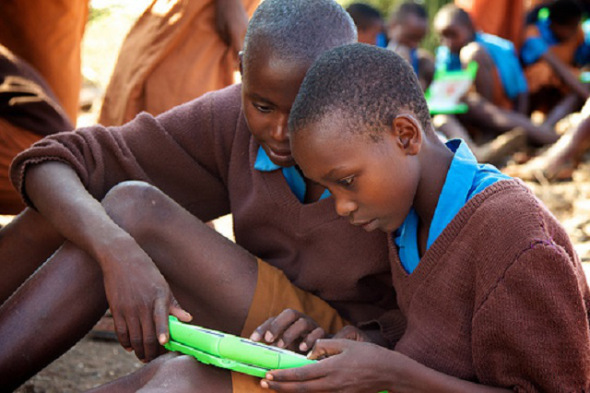 The CS for Education Fred Matiang’i emphasized that the digital literacy program is not about devices rather the mode of delivery of content, which will redefine access to education. The CS also urged publishers and content creators to take advantage of the business opportunities to scale their businesses. Through KICD, the government plans to liberalize the education curriculum with a conference slated for 30th March to chart the way forward. Various stakeholders such as KICD, KNUT, publishers and developers are set to launch the digital content caucus where different stakeholders will resolve issues arising as well as serve as an advisory framework for monitoring and evaluation of digital content. At the moment, over 1360 titles have been converted by different publishers to the digital platform. Next articleWhere has Kytabu been?